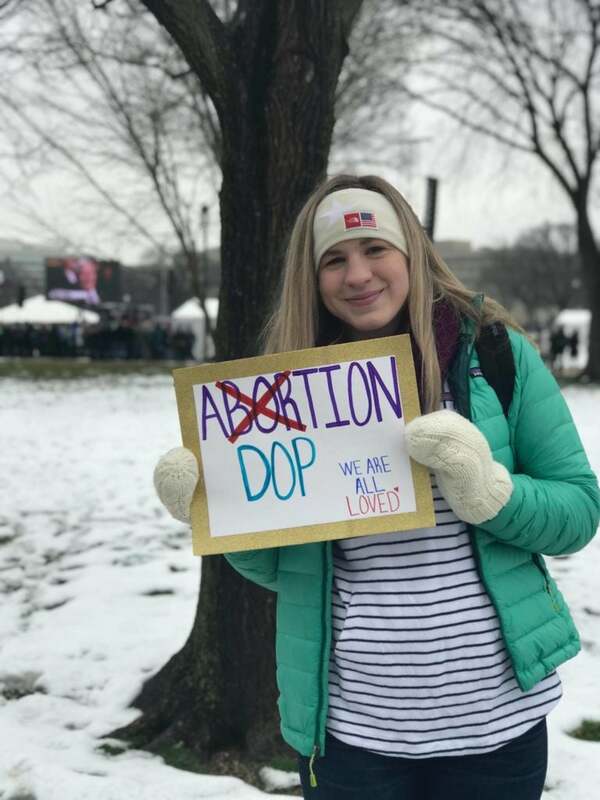 Kate Meldrum from Greenville, Indiana, said she attended the march this year because she could have lost her sister to abortion. Nathan Berning (left) from Fort Wayne, Indiana, says he and his friends are at the march to “take pink back” with their pink pro-life wristbands. It’s so secret that abortion rights groups such as Planned Parenthood and the Women’s March have tried to monopolize the color pink in their branding to advocate abortion on demand. 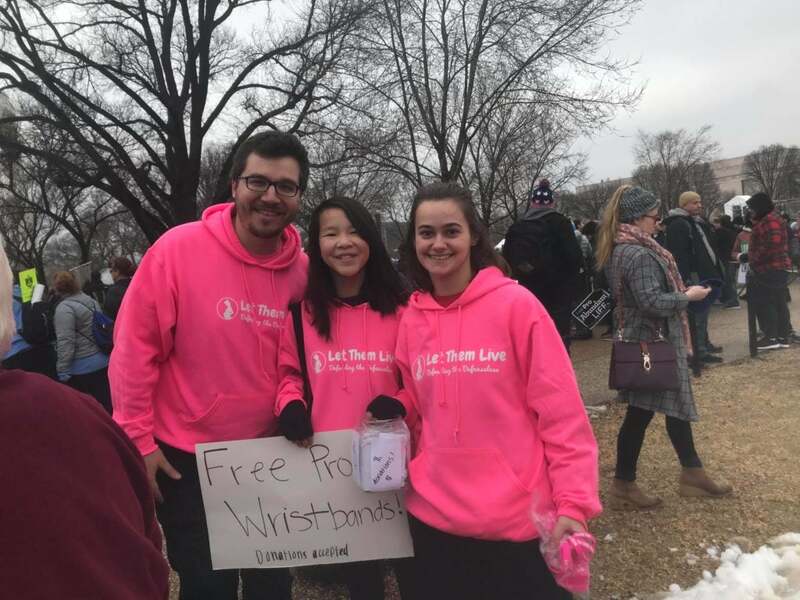 Nathan Berning, of Fort Wayne, Indiana, said he and friends were at the march to “take pink back” with their pink pro-life wristbands. 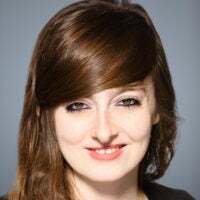 Susanna Edwards is from from Delta, Pennsylvania. Susanna Edwards of Delta, Pennsylvania, dressed in a skirt made with baby onesies. I’ve gone to or observed “civil rights” and LGBT rights marches that pointedly included signs, T-shirts, and other memorabilia using profanity and offensive language. 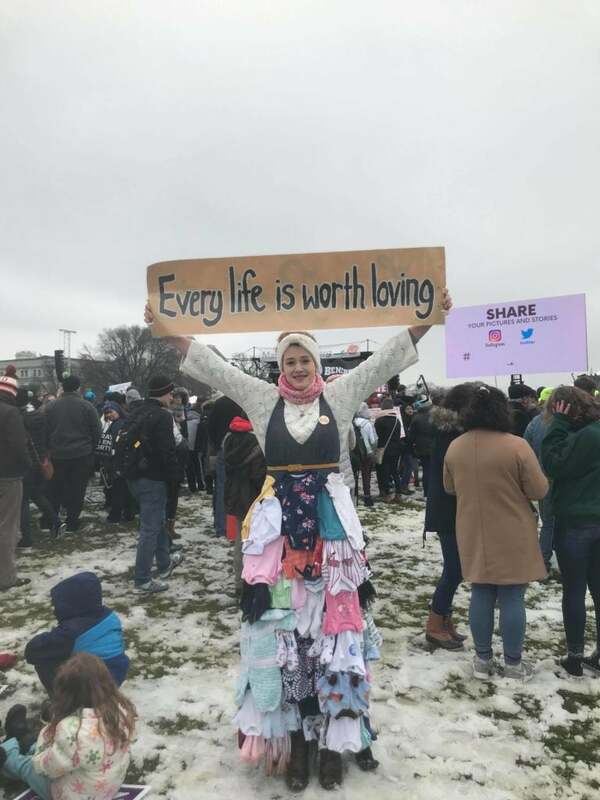 That was one thing I did not see at the March for Life. In stark contrast, there were no signs using the f-word and the p-word. 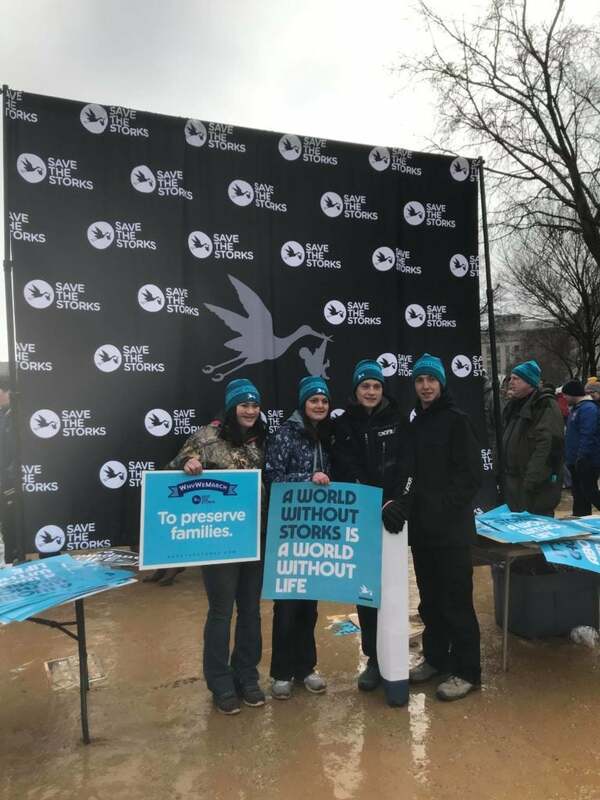 Youth repping Save the Storks, a pro-life organization that works with pregnancy care centers and employs medical mobile units across the country to provide alternatives to abortion. 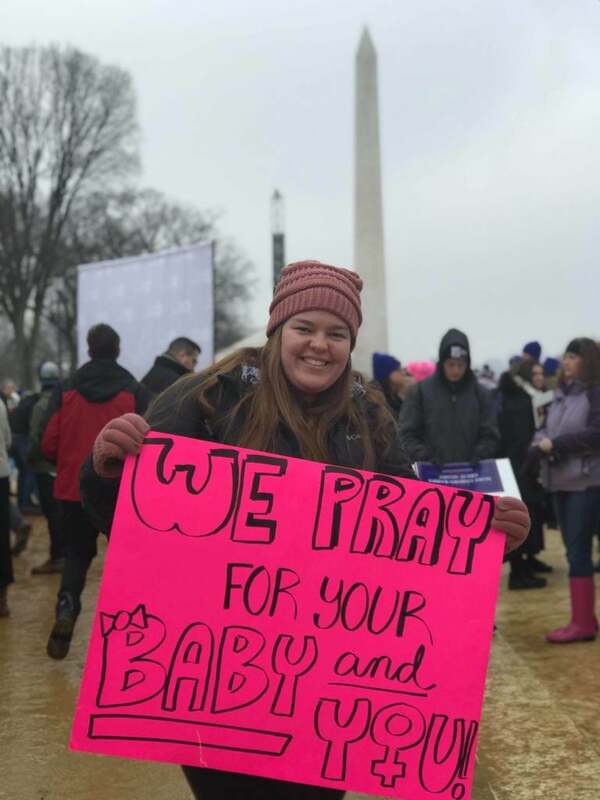 Linda Lohberger, who traveled from Ohio, held a sign quoting civil rights leader Martin Luther King Jr..
Lohberger said she attended the March for Life with her husband. 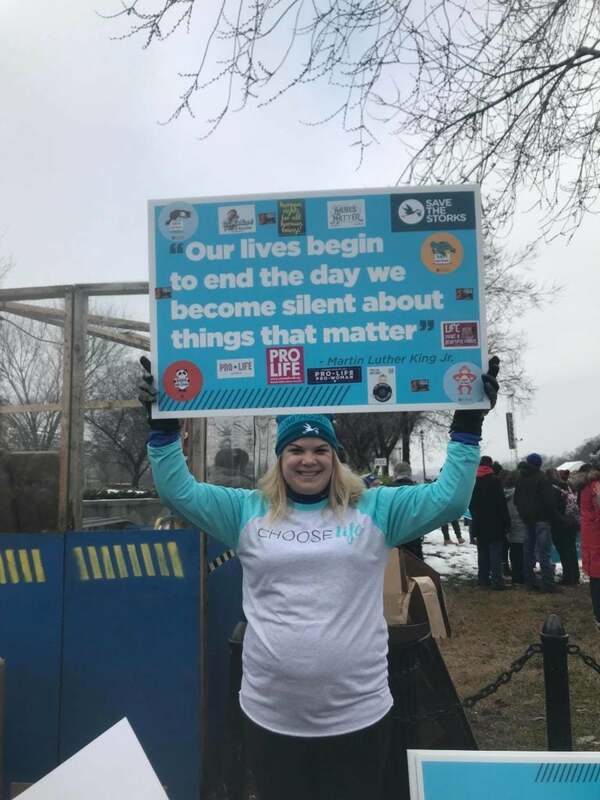 They are part of Save the Storks, a pro-life organization that works with pregnancy care centers and employs medical mobile units across the country to provide alternatives to abortion. 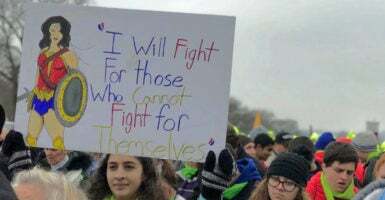 One young man from Virginia who declined to give his name said the contrast he sees between the March for Life and other “civil rights” marches is stark. 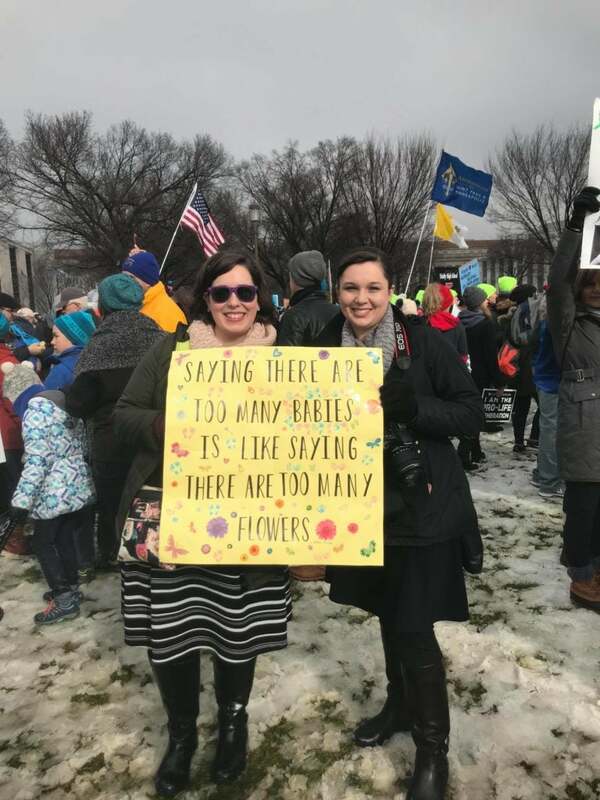 Oftentimes, the pro-life movement is characterized as advocating only for babies, without any care or concern for mothers. 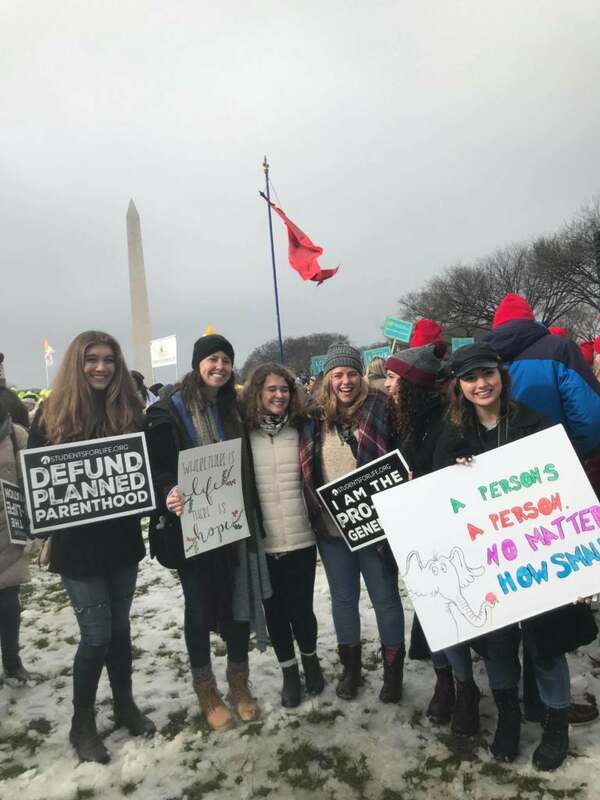 At the March for Life, that characterization was shown to be clearly false. “I love the value of life, and you hear so many stories about people not being able to get pregnant, or having to adopt,” Amber says. “I love the value of life, and you hear so many stories about people not being able to get pregnant, or having to adopt,” said a woman who gave her name only as Amber.